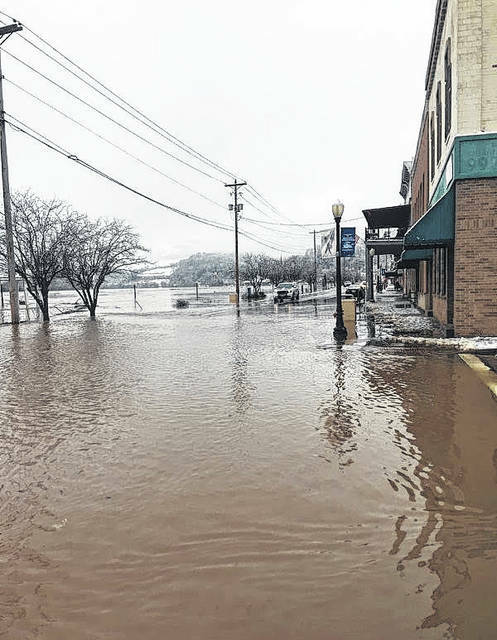 Flooding in mid-February caused more than $2 million dollars in damage in Meigs County, including damage in the downtown Pomeroy area. A slip on the Pomeroy walking path was just one of the areas damaged by the flooding. 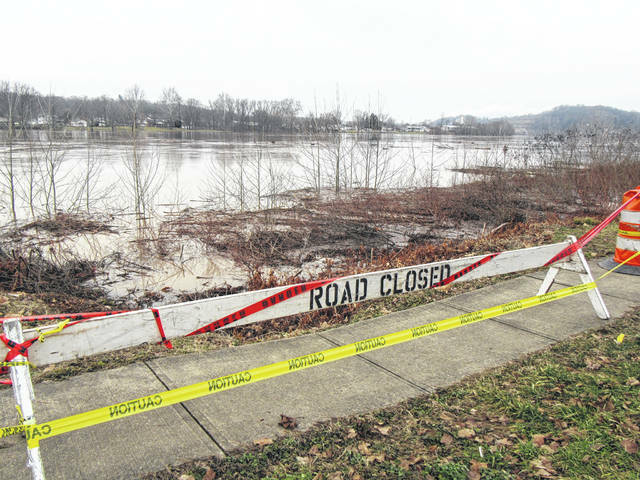 OHIO VALLEY — Two months after the worst flooding in a decade in Meigs and surrounding counties, a federal disaster declaration has been approved to provide assistance with the recovery. The Federal Emergency Management Agency (FEMA) announced Tuesday that federal disaster assistance has been made available to the state of Ohio to supplement state and local recovery efforts in the areas affected by severe storms, flooding and landslides from Feb. 14 to Feb. 25, 2018. Federal funding is available to the state and eligible local governments and certain private nonprofit organizations on a cost-sharing basis for emergency work and the repair or replacement of facilities damaged by severe storms, flooding and landslides in Adams, Athens, Belmont, Brown, Columbiana, Gallia, Hamilton, Jackson, Lawrence, Meigs, Monroe, Muskingum, Noble, Perry, Pike, Scioto, Vinton, and Washington counties. Steven Johnson has been named as the Federal Coordinating Officer for federal recovery operations in the affected area. Johnson said additional designations may be made at a later date if warranted by the results of further damage assessments. In a separate news release, Ohio Senators Rob Portman and Sherrod Brown responded to the approval of the declaration for the impacted counties which was requested by Gov. John Kasich. “This disaster declaration will go a long way in helping reassure Ohio communities impacted by last month’s devastating floods that they are not alone. This designation will get desperately needed resources to these 18 counties so that they can recover and get back on their feet. Now the Administration must move quickly to get these resources to counties in need,” Brown said. In late March, Portman and Brown wrote a letter to the President urging him to act swiftly to approve Governor Kasich’s request for a Presidential Disaster Declaration for Ohio counties impacted by the severe flooding. State and local disaster declarations were previously approved to help deal with the flooding. https://www.mydailytribune.com/wp-content/uploads/sites/42/2018/04/web1_Flood-Carol-Main201841810016720.jpgFlooding in mid-February caused more than $2 million dollars in damage in Meigs County, including damage in the downtown Pomeroy area. https://www.mydailytribune.com/wp-content/uploads/sites/42/2018/04/web1_Flood-Pomeroy-Slip201841810018706.jpgA slip on the Pomeroy walking path was just one of the areas damaged by the flooding.